The pasteurization process – the processing of foodstuffs that prevents them from spoiling – was named after Louis Pasteur. 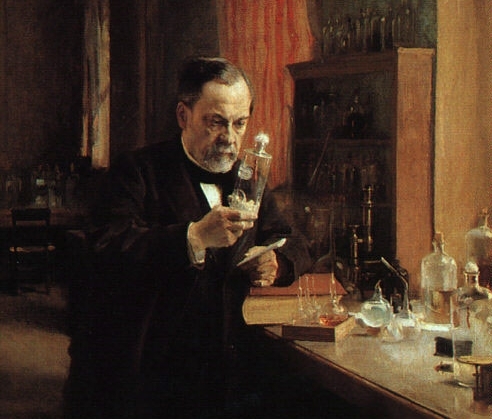 One of the greatest scientists of all time – Louis Pasteur – was born on this day. He was one of the founders of microbiology and modern ways of treating and preventing disease. The pasteurization process – the processing of foodstuffs that prevents them from spoiling – was named after him. Three of his children died of typhoid fever, which most likely motivated him to deal with the causes of infectious diseases. He experimentally proved that fermentation and diseases are caused by microbes, and that they do not develop spontaneously. He advocated that doctors disinfect hands and equipment before performing surgery on patients, which was rare till then. Pasteur was a devout Catholic and he died while he was being told the story of St. Vincent de Paul, the patron of the poor, who had served as his role model.